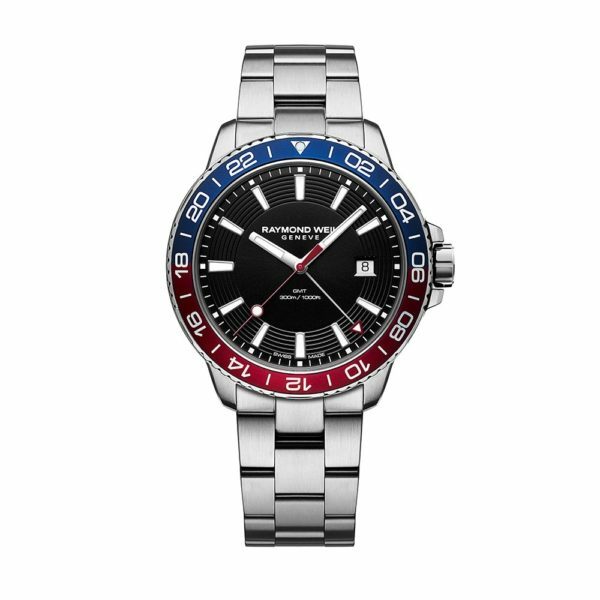 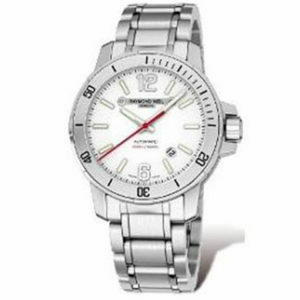 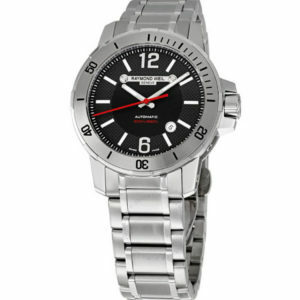 This size-42, quartz watch from Raymond Weil features a black index dial, enclosed within a stainless-steel case which has a red and blue bezel on its top. 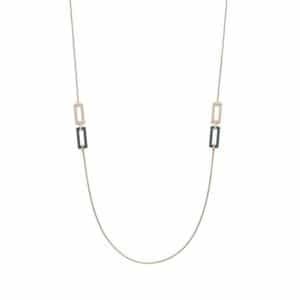 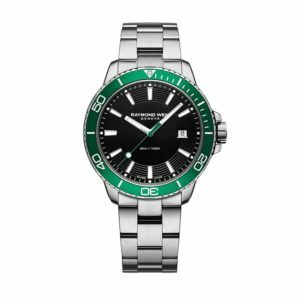 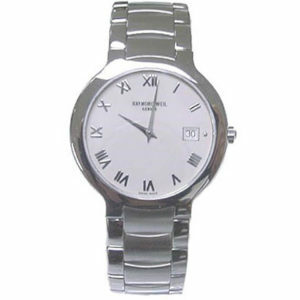 It uses a scratch resistant sapphire crystal and is water resistant up to 300 metres. 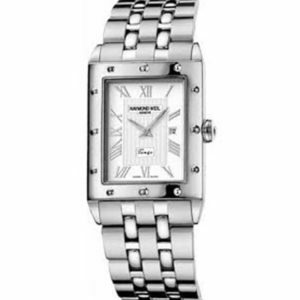 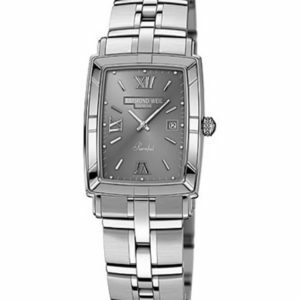 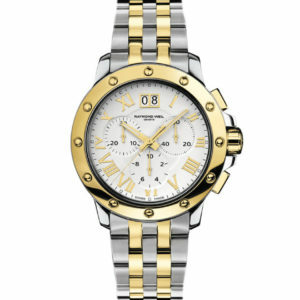 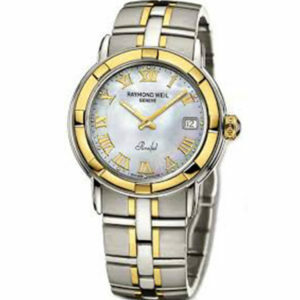 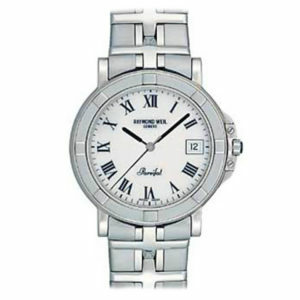 See the new Raymond Weil collection on the Edwards, Lowell Online Boutique.